Happy to see our paper on the use of internet technologies to mobilise specimen data finally in “print”. We are hoping this will add traction to the adoption of this approach to sharing data as the more institutions who adopt it the more useful it will become and the more kinds of research it will enable. At the moment the project is a model of European cooperation with the author list reading: Germany, UK, Germany, France, Belgium, Belgium, The Netherlands, Slovakia, Finland, Czech Republic, UK, UK, Germany. We have had interest from North America so hopefully this will go global in the next couple of years. With biodiversity research activities being increasingly shifted to the web, the need for a system of persistent and stable identifiers for physical collection objects becomes increasingly pressing. The Consortium of European Taxonomic Facilities agreed on a common system of HTTP-URI-based stable identifiers which is now rolled out to its member organizations. The system follows Linked Open Data principles and implements redirection mechanisms to human-readable and machine-readable representations of specimens facilitating seamless integration into the growing semantic web. 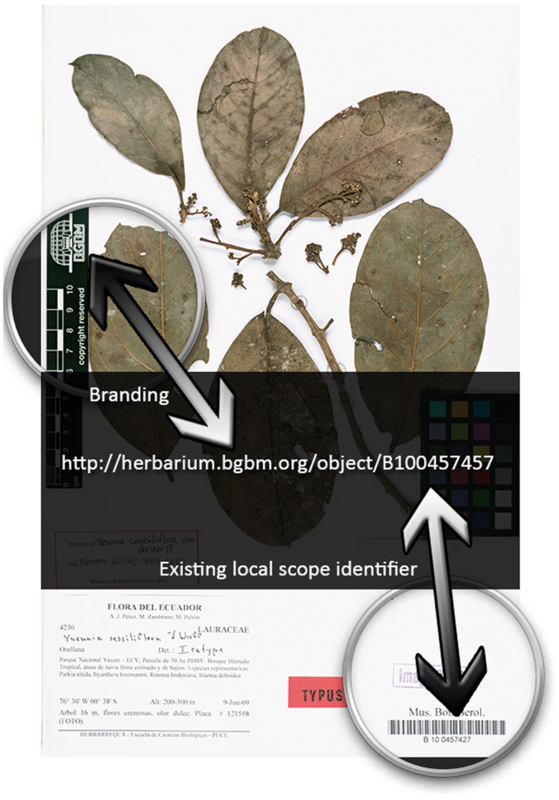 The implementation of stable identifiers across collection organizations is supported with open source provider software scripts, best practices documentations and recommendations for RDF metadata elements facilitating harmonized access to collection information in web portals.